an immediate and natural improvement in appearance without the need for surgery. Thread Lift is a minimally invasive procedure which involves elevating different parts of the face and body which started to sag using special threads without having to make surgical incisions as with a classic face lift which removes large area of excessive skin, fat and tissue. 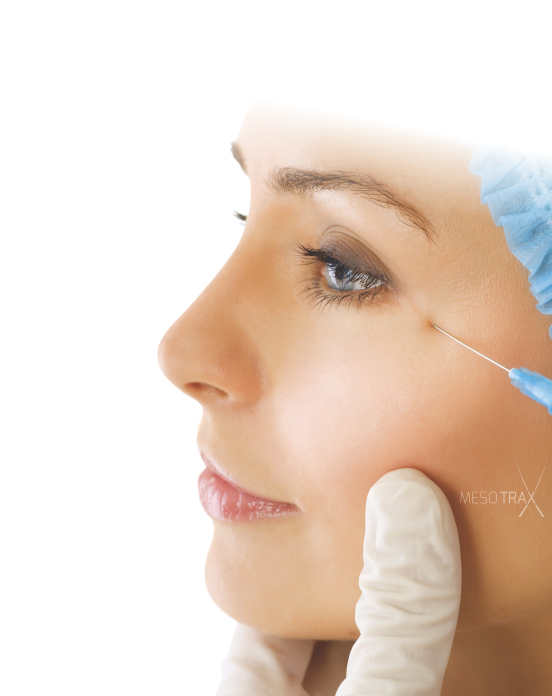 Once the threads are inserted in precise locations using a needle, they are pulled up to lift or tighten the targeted area and anchored and fixated to tissues. The treatment results can be seen immediately after the threads have been inserted and the effect can continue to improve over the following three to six months. The surrounding tissues act to hold the threads in place maintaining the lifting effect. And new tissues can be formed in the micro wounds made by the thread lifting procedure due to the natural healing force of the skin, so that the wounded skin tissues can revive as resilient new tissues, accompanied natural collagen induction. The procedure is quick and usually carried out under local anaesthesia and it leaves no visible traces of intervention on the skin, thus assuring minimal recovery time. The threads normally dissolve within six to twelve months depending on patients and the lift effect can last a few years when around 2-3 treatments are done with 1 month of treatment interval. The procedure works ideally for patients who have good skin elasticity and does not have too much excess skin. The ideal candidate needs to have good quality skin as this procedure is a milder lift. The most suitable candidates are men and women from their thirties to fifties who wish to look better lifted and younger and need moderate facial rejuvenation without face lift surgery.